This stamp set was a must have for me. 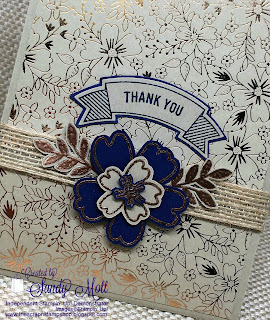 I have a weakness for any floral stamp set, but when it perfectly coordinates with printed paper (the Affectionately Yours Designer Series Paper), I swoon. 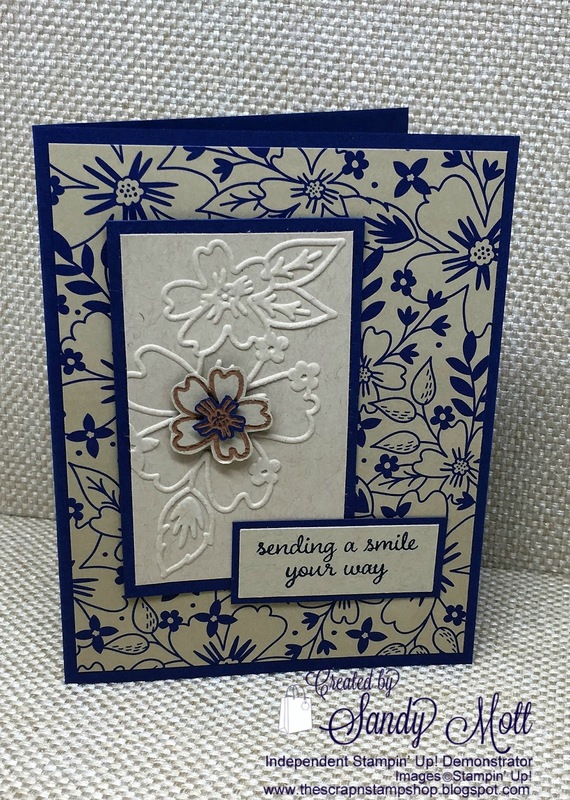 And especially so when you add in a matching embossing folder and the new copper embossing powder. Sigh. So many beautiful, coordinating sets. 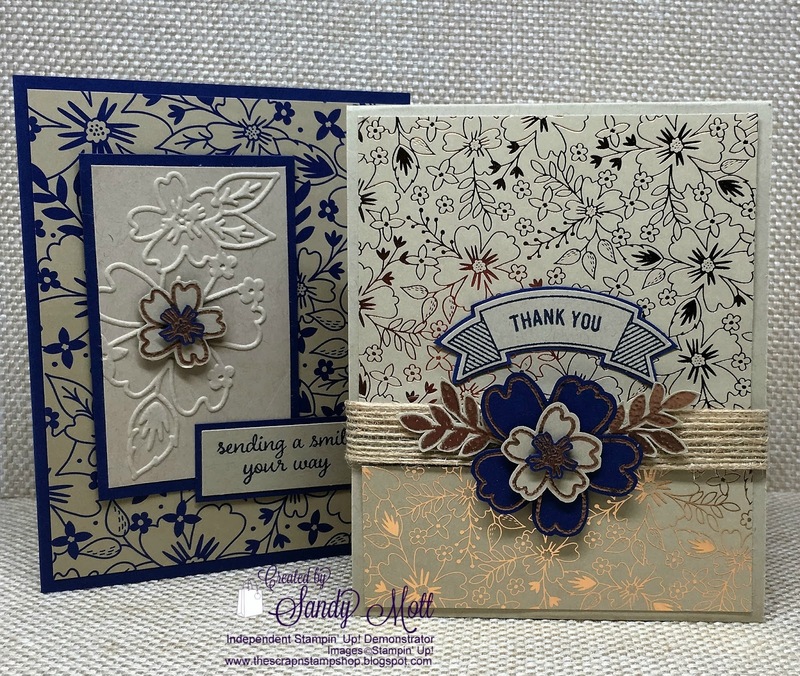 I made a card for my upcoming Stamp Camp and a few gift card sets. I love the color Crumb Cake paired with Night of Navy. I embossed the center flower with the Copper embossing powder. Here's a close-up of the embossing on the flower. It's very subtle as I didn't want to take away from the embossed design on the Crumb Cake cardstock (the Floral Affection embossing folder). I also made a few of these gift cards (an actual gift card is inside). I guess it should be called a gift card card. Lol. The belly band is our new Burlap ribbon. I stamped the flower on Night of Navy cardstock in Versamark and embossed with copper. 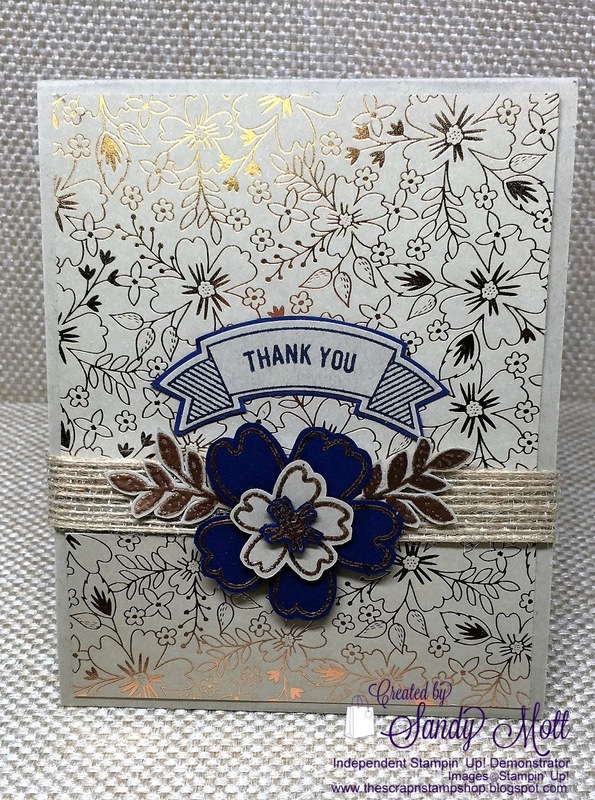 The Designer Series Paper is copper embossed and I love how the light plays on it. It perfectly matches the stamp set. 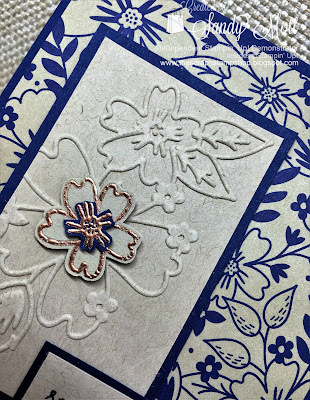 The center flowers and leaves were also embossed with copper, fussy-cut, and adhered to the Burlap ribbon. I hope you enjoyed today's projects. Have a safe and fun July 4! Thank you Jennifer! Feel free to share and case!